News is out today that the iPhone 5 may be delayed, and we won’t see it hit the market until October – perhaps even late October. Up until this point, the general consensus for when the new Apple iPhone 5 would be coming to market was sometime in September. 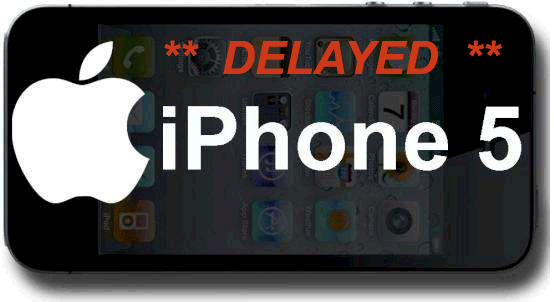 But today, BI is reporting that a solid source has information that the iPhone 5 is being delayed, for reasons unknown, until sometime in October. This, my friends, will not make Apple investors very happy.